The PR005 is the Tilt Base for the PR10E and PR20EVS Bosch Palm Routers. It features and quick-release clamp to allow both macro and micro fine depth adjustment. The tilt angle is also easily adjustable. Its construction includes an aluminum housing and and steel base. The Bosch GKF12V-25N 12V Max EC Brushless Palm Edge Router delivers cordless freedom and a unique offset design, making this router the choice for comfortable, compact edge routing and trimming. It features a unique ergonomic design that has most of the tool and its gripping areas positioned over the workpiece for maximum stability when edge-forming. It weighs only 2.2 lbs. (tool only, not including battery). The EC Brushless motor helps to provide great runtime. When rounding 0.2 inch of beech, this unit delivers 23 ft. of routing per battery Amp hour (Ah). It has an easy-change spindle lock, fast macro depth adjustment, and easy fine depth adjustment at 0.04 inch per revolution of the dial. For user protection, it includes a drop-detection sensor that stops the motor if dropped, as well as finger barriers to help prevent contact with the bit area. Battery and charger sold separately. The versatile 1617 was the first router in its class to have a 2.0 (Max.) horsepower rating, linear depth adjustment and numerous other routing innovations; the powerful 11 Amp motor with its rated speed of 25,000 RPM handles tough routing jobs. The units RA1161 fixed base features a quick-clamp system for fast, tool-free depth adjustments, and its linear microfine bit-depth adjustment system allows for accurate depth adjustment over the depth range of 1-5/8 inch. For router table usage, the RA1161 includes threaded table-mounting holes in both the Bosch 4-hole pattern and the common 3-hole pattern. The bases advanced bit-height adjustment system allows you to conveniently adjust the bit height from above the router table. The motor housing and bases are made of aluminum, and the power switch is now completely dust-sealed. Palm Router Tilt Base The PR005 is the Tilt Base for the PR10E and PR20EVS Bosch Palm Routers. It features and quick-release clamp to allow both macro and micro fine depth adjustment. The tilt angle is also easily adjustable. Its construction includes an aluminum housing and and steel base. 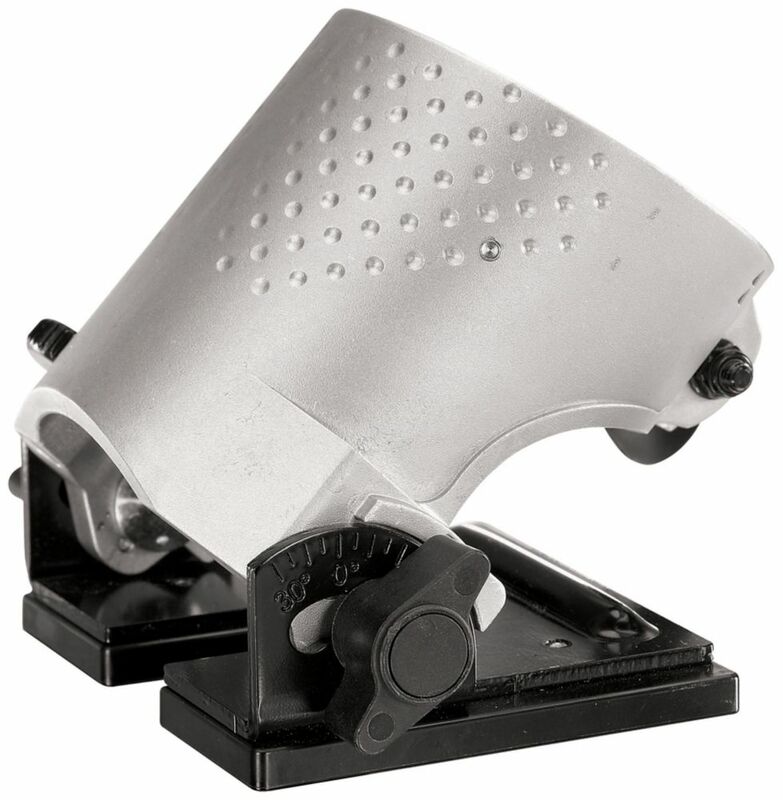 Palm Router Tilt Base is rated 4.7 out of 5 by 3. Rated 5 out of 5 by Tony from Very solid, stays in the angle where you set it.... Very solid, stays in the angle where you set it. Tilts both directions to make it easier to fit into different spaces. And the best part is the unexpected ability to quickly release the latch and twist lock it at different depths with repeatable accuracy, with no need to dial it up or down.